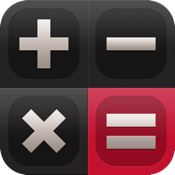 CalcPad-HD is a calculator, note keeper and web browser, all in one. Secretly store your confidential information and photos, or securely surf the web. No one will know what lurks behind your calculator. Click “…More” to learn why you should download this App today! You used to have trouble remembering your passwords but it’s not an issue anymore! That sensitive data travels with you everywhere you go, right on your iPad. No one but you knows where you hide your most important, confidential information and pictures yet you always have access to them. Admit it; you can’t help but smile at the fact that you have a secure, secret hiding spot for stuff you don’t want anyone to see. Oh yes, CalcPad-HD is sneaky that way. The app is a calculator that you can use for regular or scientific calculations but it’s also a front for storing your text and images, as well as a secure internet browser. Again, just employ the secret swipe to open this vault of personal goodies that you have hidden and suddenly, the calculator disappears to give you full access. It’s fast, it’s easy, it’s safe, secure and convenient. Download CalcPad-HD now and learn the secret two-finger swipe yourself.